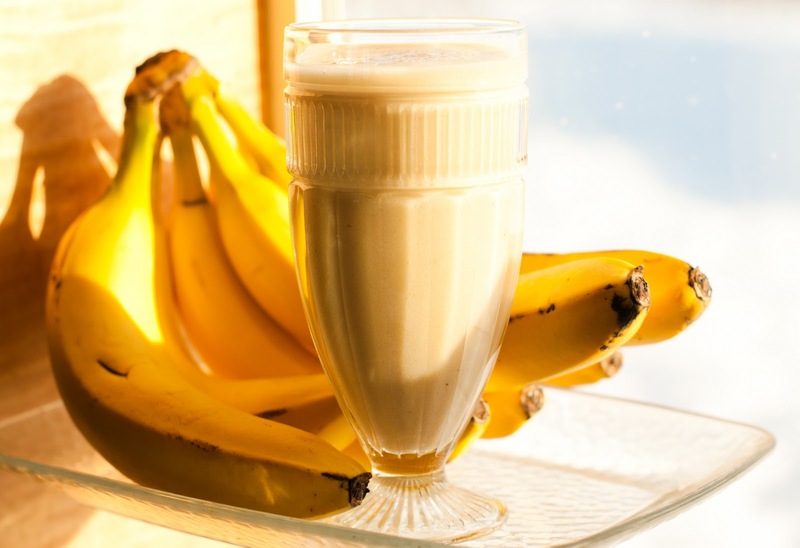 Blend 2 bananas, 1/2 cup each vanilla yogurt and milk, 2 teaspoons honey, a pinch of cinnamon and 1 cup ice. Blend 1 banana, 1 cup strawberries, 1/2 cup each vanilla yogurt and milk, 2 teaspoons honey, a pinch of cinnamon and 1 cup ice. Blend 1/2 Banana, 1/3 cup Milk, 3 oz. Chopped Pineapple and 1 cup ice. 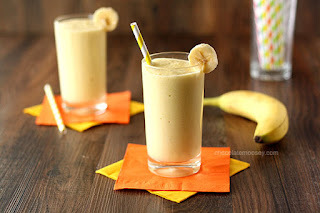 Blend 2 bananas, broken into chunks, 2 cups milk, 1/2 cup peanut butter, 2 tablespoons honey and 2 cups ice cubes. Blend 1 banana, 1/2 cup frozen mango pieces, 1/3 cup plain yogurt and 1/2 cup orange-mango juice.